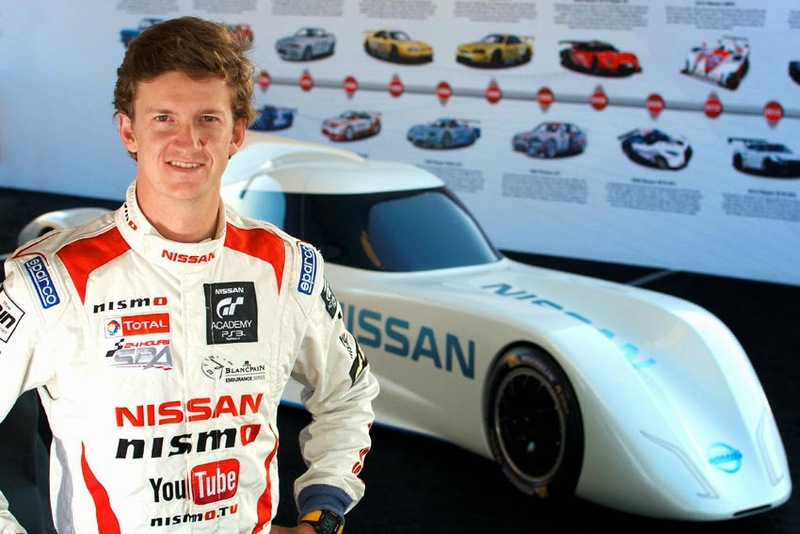 Two-time Le Mans 24 Hours LM P2 podium finisher and inaugural Nissan PlayStation GT Academy winner Lucas Ordonez has been confirmed as the first race driver for Nissan's revolutionary ZEOD RC prototype. an entire 13.6-kilometer (8.5 mile) lap of Le Mans on nothing but electrical power when it competes in this year's Le Mans 24 hours. The car will combine electric motors with an incredible 1.5 liter, 3-cylinder turbo engine which produces 400 hp, yet weights only 40 kg (88 pounds). The car will occupy the Automobile Club de l'Ouest's 'Garage 56' at this year's Le Mans - a spot reserved for new and innovative technologies not previously seen in the French endurance classic. For each tank of fuel used at Le Mans, the ZEOD RC will complete an additional lap on pure electric power. While operating under petrol power, the car's battery will be recharged by regenerative braking - recycling the heat generated by the carbon brakes to produce electricity. The development project is being used by Nissan as part of its planned assault on the LM P1 class of the Le Mans 24 Hours and the FIA World Endurance Championship in 2015. Ordonez won the inaugural Nissan PlayStation GT Academy competition in 2008 and made his Le Mans 24 Hours debut in 2011. In three attempts at the famous French enduro he has twice finished on the LM P2 podium. He also took championship wins in the Intercontinental Le Mans Cup in LM P2 in 2011 and last year's Blancpain Endurance Series. "Since becoming our first GT Academy winner, Lucas has demonstrated his speed and talent in a wide variety of Nissan machinery - LM P2, GT3 , GT4, Super GT and even V8 Supercar - that versatility was a key part of the decision to place him as the inaugural race driver locked in for the Nissan ZEOD RC," said Darren Cox, Nissan Global Motorsport Director. "The ZEOD RC is such a unique and different car. Anybody who drives the car is going to have to adapt to an entirely different experience. Our three drivers for Le Mans will have to be versatile and eager to learn." "It will be very different but they will have the opportunity to be a part of something very special in what will not only be an extremely important project for Nissan, but for the automotive industry as a whole," he further added.